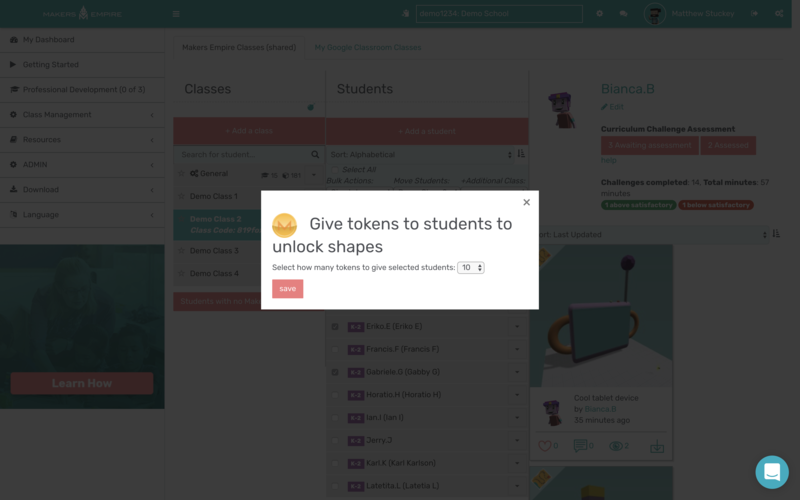 How can I unlock shapes or give tokens to my students? Tokens are used to unlock shapes and hero parts in the Makers Empire 3D app. Students earn tokens by just using the the app. 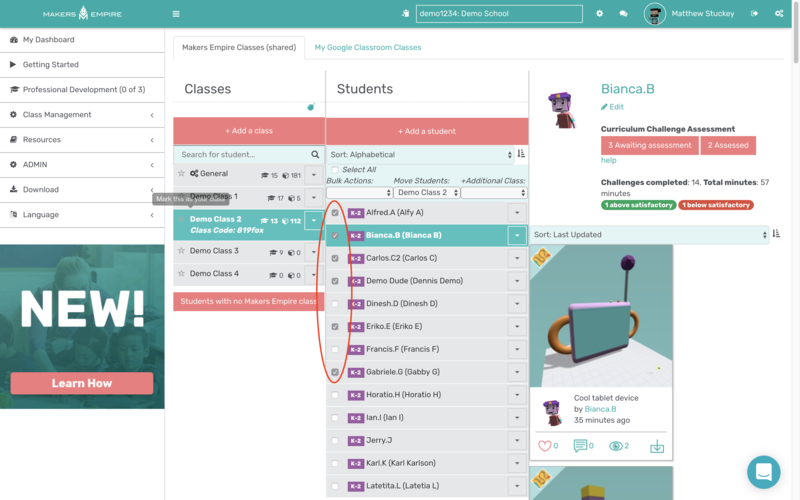 Tokens are awarded when students level up, when another user buys their design (if they set a price on their design), and by completing Challenge Central (curriculum-aligned) challenges. 1. Go to Class Management > Classes and use the check boxes to select the student(s) whom you want to give tokens to. 2. Click the drop Bulk Actions drop down menu and select Give tokens. 3. Select the number of tokens you'd like to give and click Save. 4. 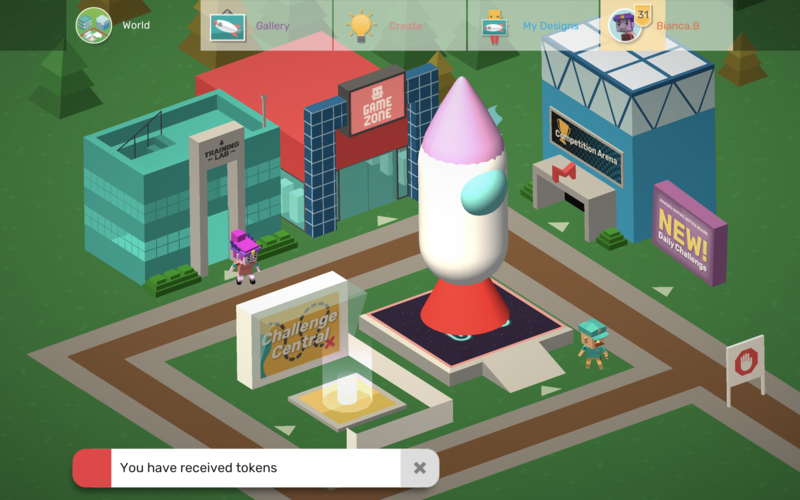 Your student(s) will see a notification in the Makers Empire 3D app telling them that they have received tokens. For tips on using tokens, refer to this article How do I use tokens in the shop?